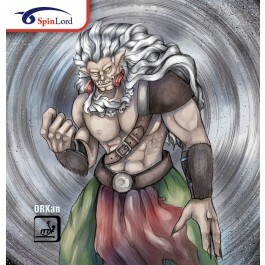 Spinlord ORKan is an allround-defensive pips out rubber that offers good disruption and control on blocks, chops, and the occasional attack. It features a very slow topsheet and uses a soft offensive sponge with decent speed and good speed glue feeling. Primarily for taking pace off the ball, it can also allow for well placed attacks when the opportunity arises.